Talk about a sweet visit! 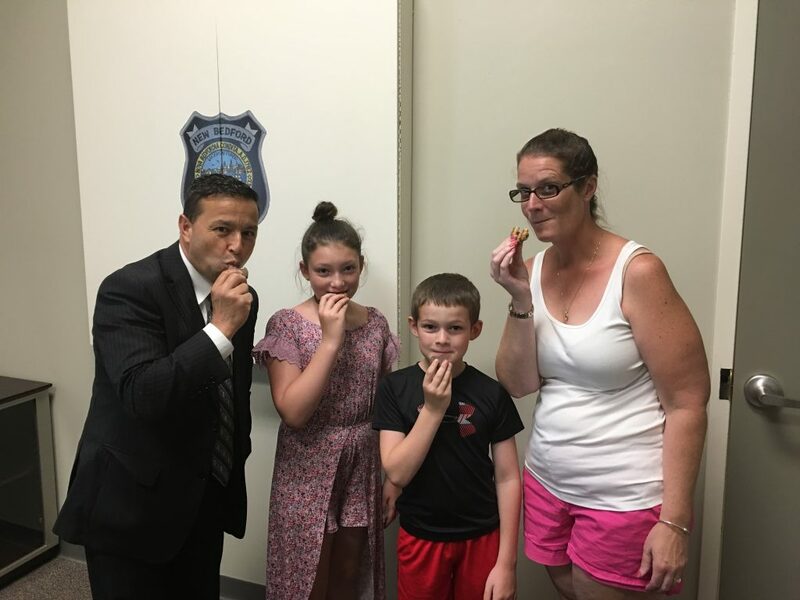 The Figueiredo family _ mom Rebecca, daughter Molly, 11, and son Connor, 9, visited the city’s police and fire station Wednesday July 18 to bring gifts of cookies. 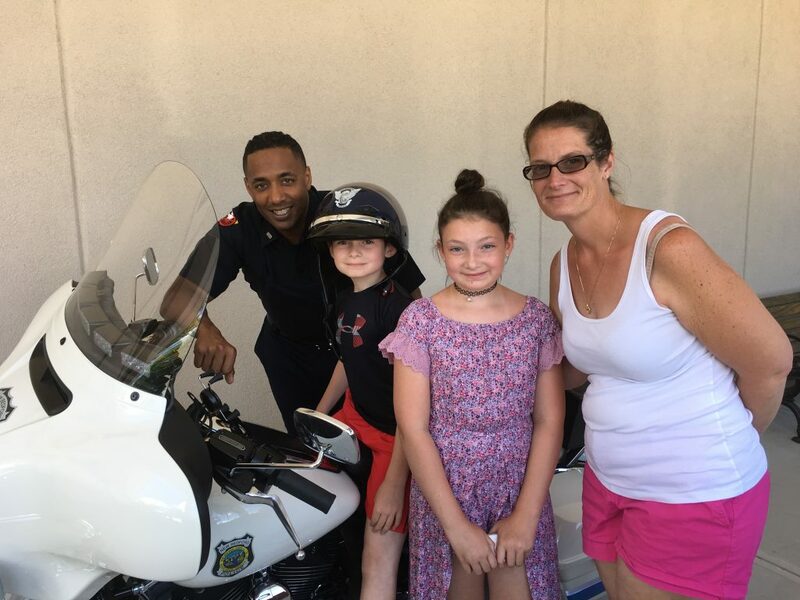 They received a tour of police headquarters where they enjoyed a cookie with Chief Joseph Cordeiro and talked with motorcycle officer John Ribeiro about his bike.